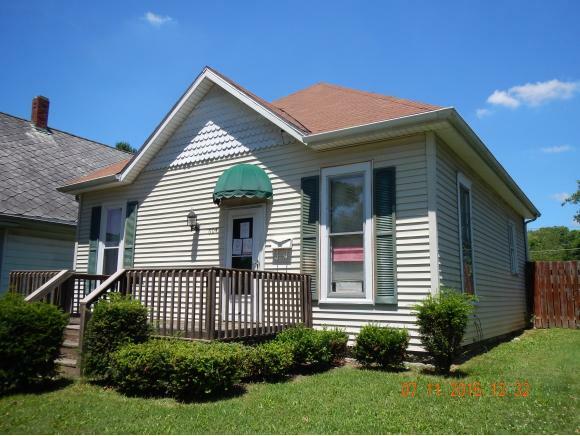 Cute two bedroom bungalow style home with detached garage has had some repair. Nice deck on front of home and patio area on rear of house. This listing courtesy of, Saylor Real Estate Group .